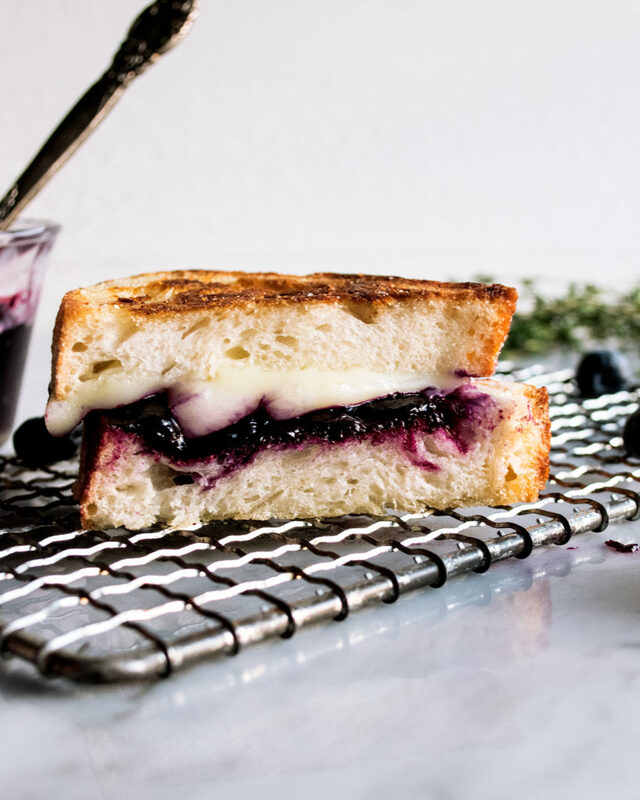 A new summer staple that you are going to obsess over: blueberry white cheddar grilled cheese sandwiches. YES. 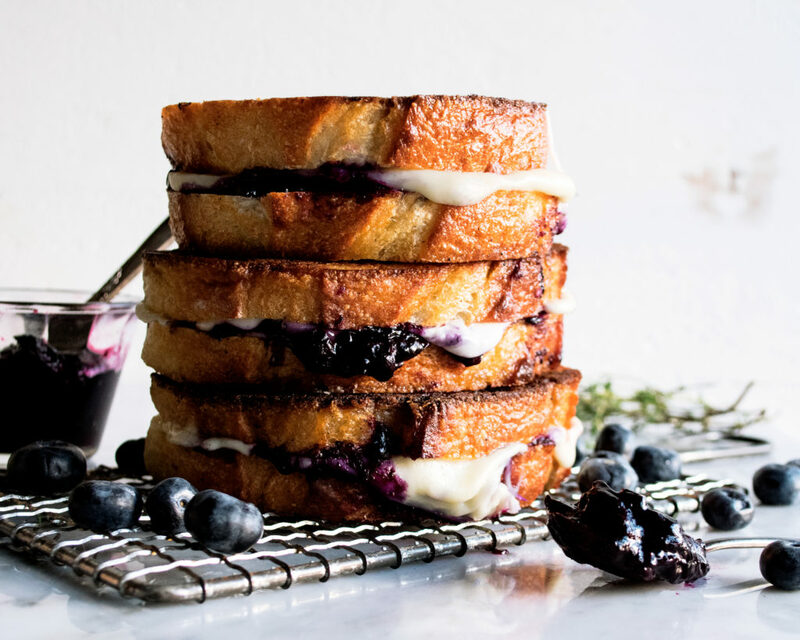 I am so excited to share these blueberry white cheddar grilled cheese sandwiches with you guys today! So many of you have requested it, and the time is finally here. 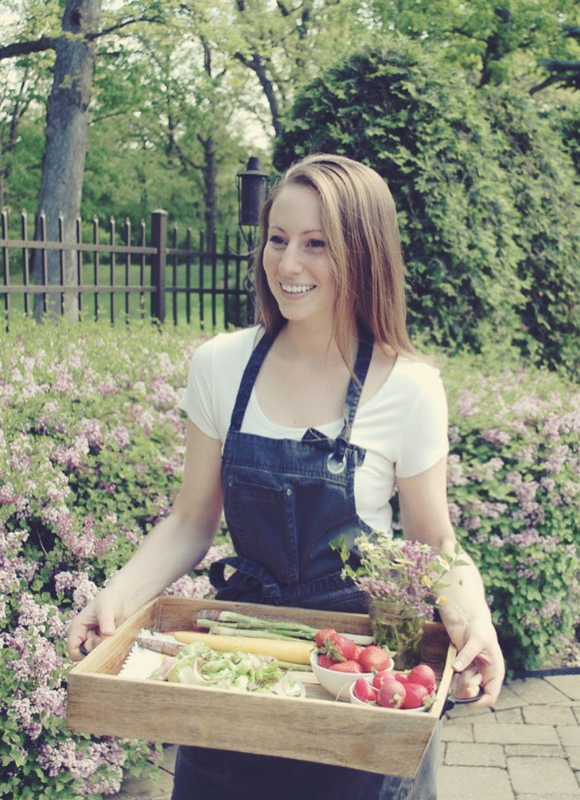 It’s as simple and delicious as can be, with beautiful fresh summer blueberries adding so much bursting berry flavor. 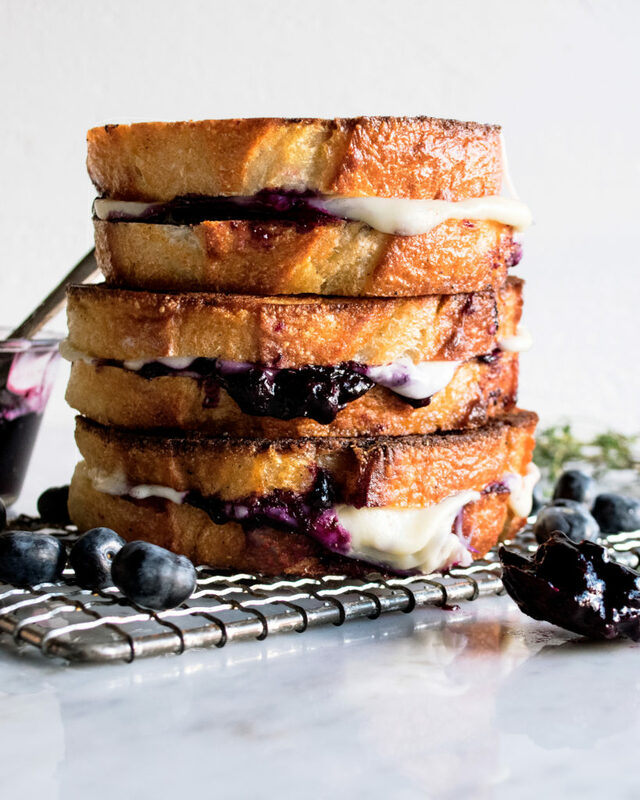 The sweet berries, combined with salty cheese, and then buttery, crispy sourdough bread? It is a dream. If you try this definitely share a photo and tag me on Instagram so I can see how it turns out. I’m also hoping to share a demo over there this weekend, too, so look out for that. Enjoy, everyone! I am SO excited for you to try this. 1. Combine the blueberries, sugar, lemon juice, and fresh thyme sprigs in a small saucepan over medium-high heat. Bring to a boil. 2. Lower the heat and let the mixture slowly simmer until reduced and thickened, about 25-30 minutes, stirring often. Remove the thyme. 3. Lay 4 slices of bread out. Place a couple slices of white cheddar and a couple slices of mozzarella onto each piece of bread, arranging them so that they fit nice and evenly. 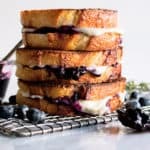 Add a generous spoonful of the blueberry jam right on top of the cheese (it should be thick enough to slightly hold its shape and not run everywhere). 4. Close the sandwiches with the remaining 4 slices of bread. Press gently so that the sandwiches compress a bit. 5. In a large sauté pan, melt a couple tablespoons of butter over medium heat. 6. Place the sandwiches in the pan. Place a cast-iron skillet (or any heavy, flat-bottom pan) on top of the sandwiches to weigh them down. Let cook until golden brown. Make sure they don’t burn. 7. Remove the skillet, carefully flip the sandwiches, replace the skillet, and repeat on the other side until the cheese is fully melted. 8. Transfer the sandwiches to a cutting board and slice in half. Sprinkle the sandwiches with a pinch of sea salt. Serve with any extra blueberry jam on the side. The cheese measurements are a rough estimate of what I used. Every loaf of sourdough will be slightly different in size and shape, so use your best judgment of how much cheese to put on each sandwich. You want a very generous amount!